For some parents in Northeast Ohio, replacing their child’s outgrown shoes, ripped pair of pants, or dog-eared notebook is a minor inconvenience. But for the tens of thousands of Greater Cleveland area families living in poverty, this causes anxiety, frustration, and low self-worth as they struggle to send their children to school with basic clothing and school supplies. You can help us change this. Your gift to Shoes and Clothes for Kids and our Cleveland Kids in Need Resource Center program will have a long lasting impact on a child in need. But it’s more than just having new shoes, school uniforms and school supplies. It’s making sure kids in the Greater Cleveland area show up for school with the tools they need to learn, and to stay in school. We know children living in poverty face significant challenges, and sometimes staying in school isn’t a priority … but kids who miss 2-4 days of classes in the first month of the school year go on to miss more than a MONTH of school over the course of the academic year. Providing local kids in need with they need to start the school year off right sets the stage for success. When SC4K and our programs provide a vulnerable child with access to NEW shoes, school uniforms, school supplies and other basic clothing items, school attendance IMPROVES up to 24% in certain categories of students compared to those we have not yet had an opportunity to impact … and as our programs continue to grow, we expect attendance numbers to rise. You can help. Make your gift today. As a non-profit agency that charges no fees to its 10,000+ recipients or our 28 neighborhood distribution partners, all our revenue is generated through fundraising. Financial and in-kind support helps Shoes and Clothes for Kids positively impact the lives of area school children by helping improve school attendance and giving them the self-esteem that comes from having brand new shoes, school uniforms and school supplies. Gifts are needed year-round, please consider making yours today! Without the help of committed community members, SC4K could not distribute the amount of clothing and supplies that it does! Each year we need more than 1,000 volunteers filling nearly 12,000 hours of time in our warehouses to help us meet our program needs. We have a wide variety of individual or group projects for you to choose from - assisting with teacher shopping, stocking the store, sorting through merchandise, packing for distribution, and more. Volunteers also play an important role in governing the organization on our board and associate board, helping in the office, and assisting with all aspects of our special events. Each year, SC4K distributes more than $4 million in school appropriate clothing and school supplies to students across Greater Cleveland. Both financial and product donations greatly contribute to getting the basic necessities into students’ hands. You can host a drive for SC4K and collect brand new socks, underwear and school supplies. All donated items must be brand new with the tags on or in the original packaging. 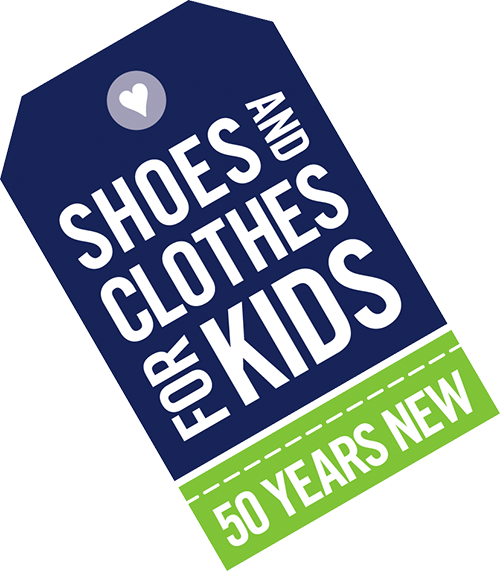 If you are a retail clothing store, outlet, or wholesale business and would like to donate new articles of children’s clothing, supplies, or other items, SC4K could use your assistance. SC4K accepts product donations year round to help stock classrooms and clothe our children. If you'd like to make a contribution, please contact us at 216.881.7463 x 6 or mlloyd@sc4k.org for more information. SC4K depends on support from businesses in our community to provide our services to local kids in need. Learn how your organization can get involved. Learn how you can leave a lasting legacy for local kids in need.